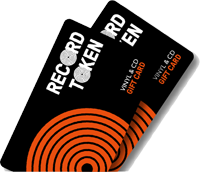 Record Tokens are the perfect gift for any occasion. From birthdays to Christmas – Record Tokens are a special treat for those life-long music lovers as well as a wonderful gift for those yet to experience buying their first vinyl record. Our gift cards are available to redeem in independent record stores across the UK with a huge selection of vinyl records and CDs to choose from. It’s the perfect opportunity to experience the unique culture of the UK’s independent record stores and discover the records needed to complete any music lover’s collection. Also because we ring fence the value of unredeemed Record Tokens, you can be assured that when you wish to redeem we have the funds in place to honour it.